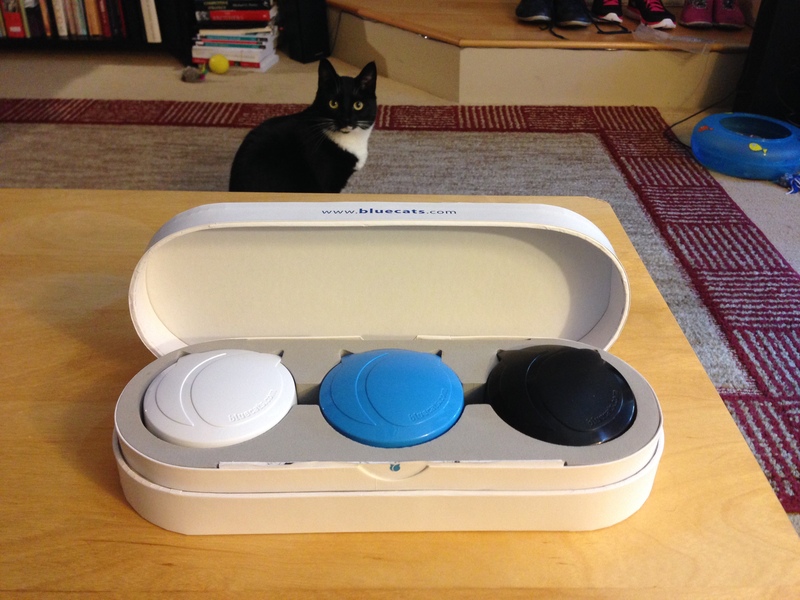 My BlueCats beacons just arrived in the mail. BlueCats are created by PLUS Location Systems, having offices in Australia, Alabama and Texas. They come in three colors in a startup pack which you can order on BlueCats.com. 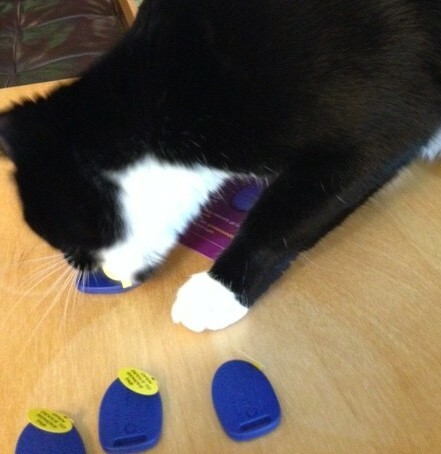 Taking a look at the hardware, BlueCats require two AA batteries which provide 3 years of sustained “purring.” Like my Estimote beacons, BlueCats are colorful and will certainly stand out in any given retail (or museum…or art show) context. BlueCats are slightly larger than an Estimote yet provide longer battery life yet will still fit in the palm of your hand. 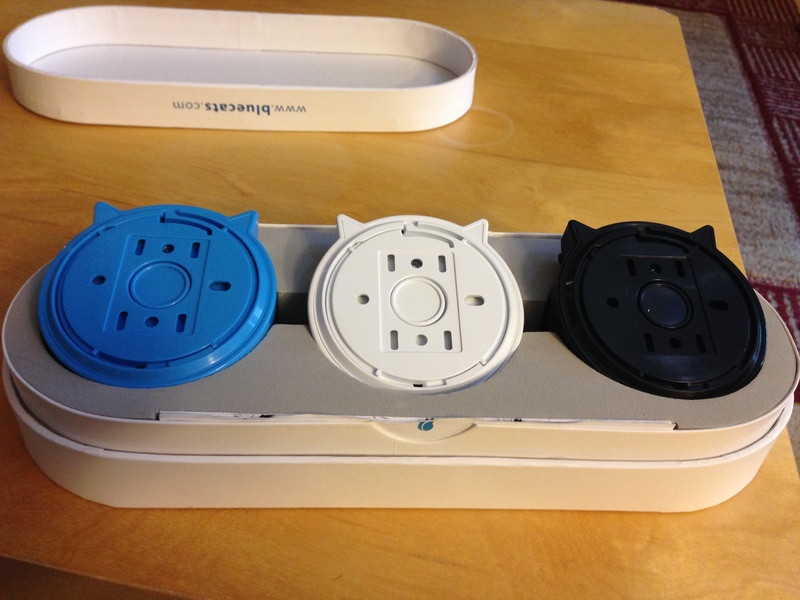 Each BlueCat comes with a sticker which you can use to attach it to a convenient wall. 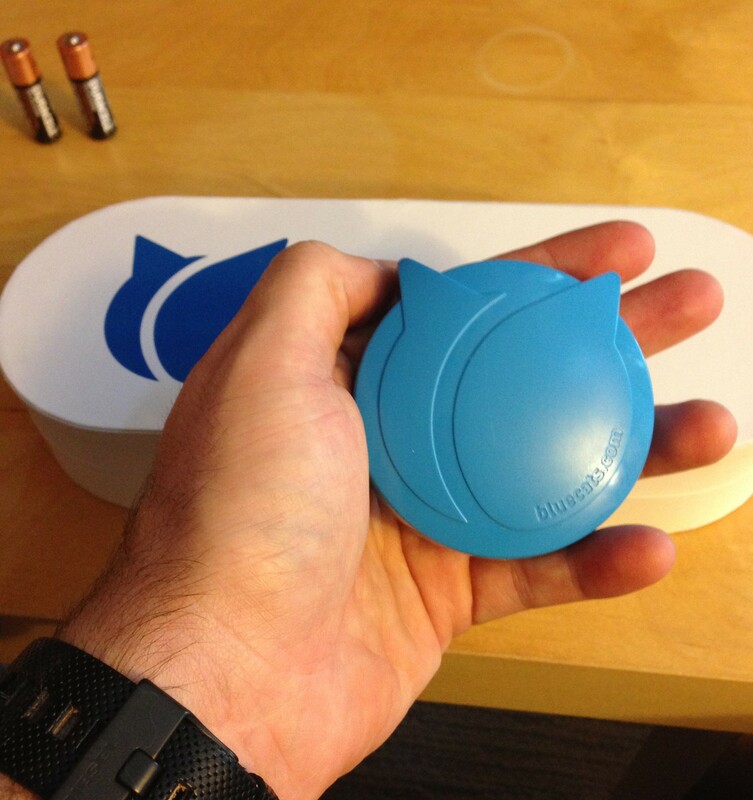 BlueCat back detail, comes with a back plate which you can use to nail it or hang it to a wall. 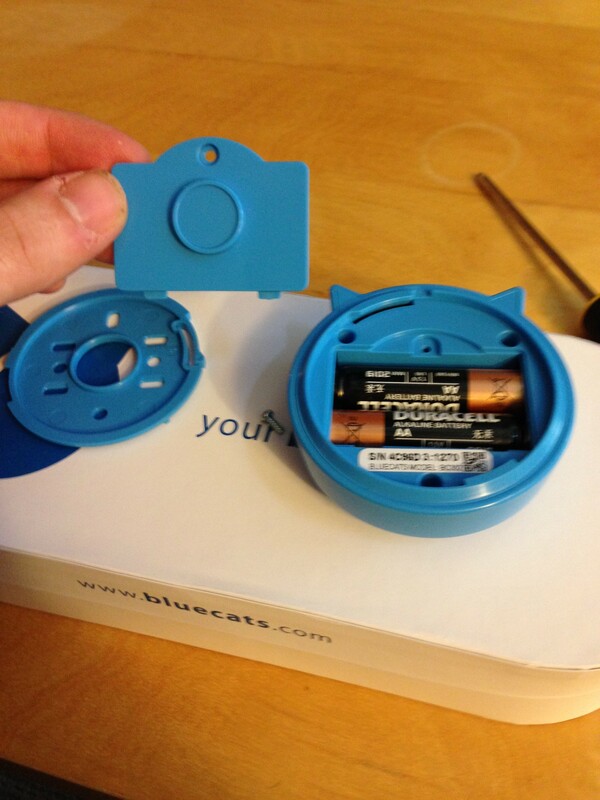 The plate can be removed with a screw in order to install the included AA batteries. 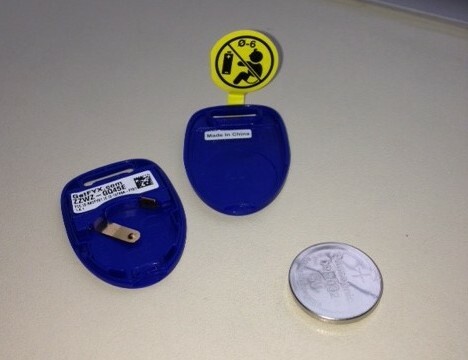 A detail of all three included beacons with their back covers on. 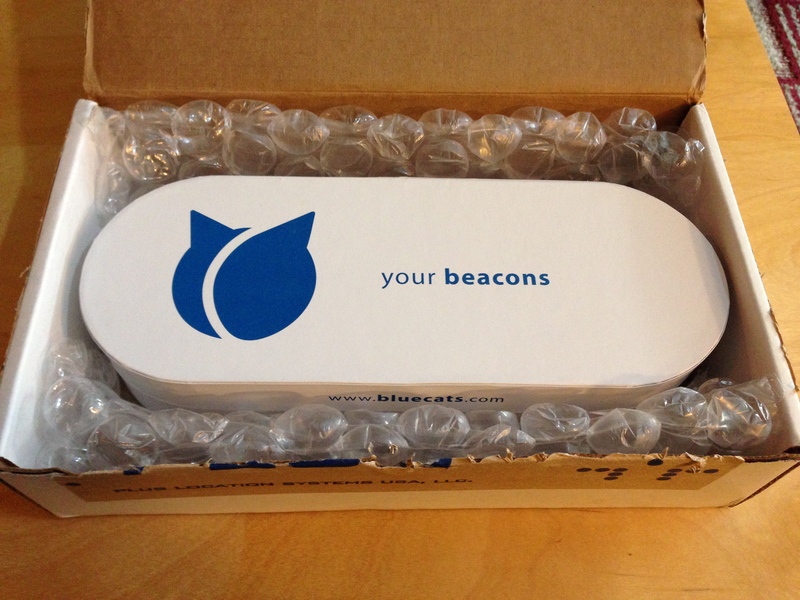 BlueCats provides a developer SDK which can be used to interact with these beacons. Once I get some more time I will explore further. Ok, so while I am still in progress with developing my demo Estimote app I am going to start writing about the Qualcomm Gimbal beacons I received earlier. 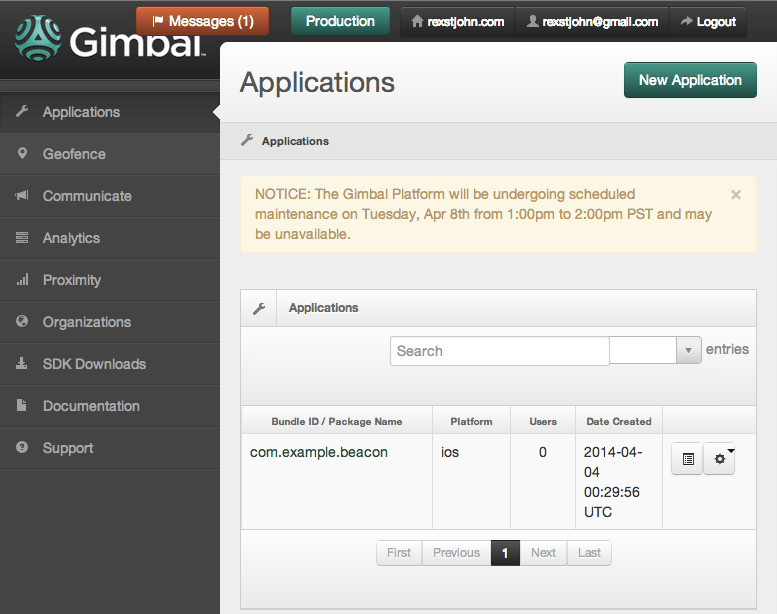 The Gimbal system was launched in December of 2013 to combat Apple’s iBeacon strategy. 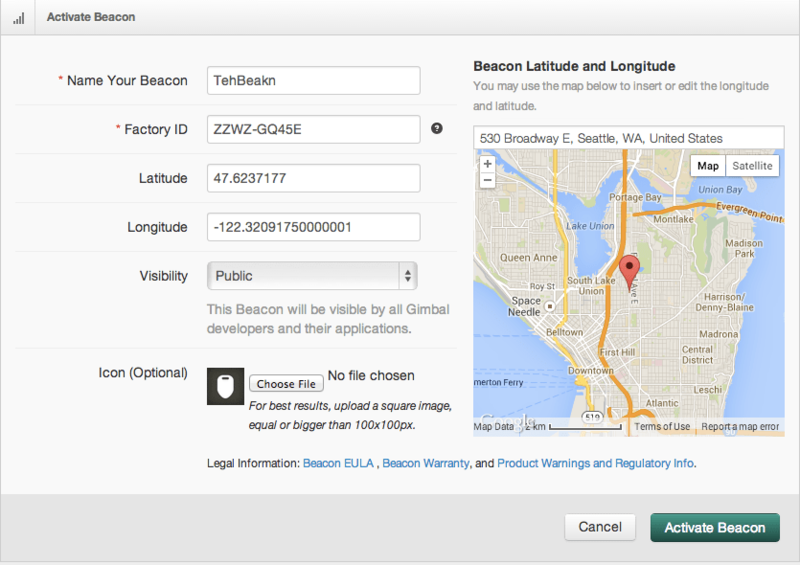 It comes complete with an iOS and Android SDK plus an entire developer services portal allowing users to set up custom geo fences, manage analytics, associate data with and engage in other various beacon-management activities. I can tell already that Qualcomm has put a good amount of work into their beacon management platform and services – These are areas which will clearly be an important business asset to anyone wanting to enable many users to interact with beacons easily. By themselves, Beacons are not terribly compelling…until they are paired with excellent supporting services and tools. The Gimbal beacons are quite tiny, perhaps the size of a silver dollar and are powered by a single Panasonic 3V CR 2032 coin-cell battery. The Gimbals come in two series currently: 10 (blue, for fun and retail) and 20 (industrial silver). Depending on how you use them, the battery can last months or years. The series 20 runs on two AA batteries and last about a year at 10 pings / second. The series 10 may last 3 months at 10 pings / second. 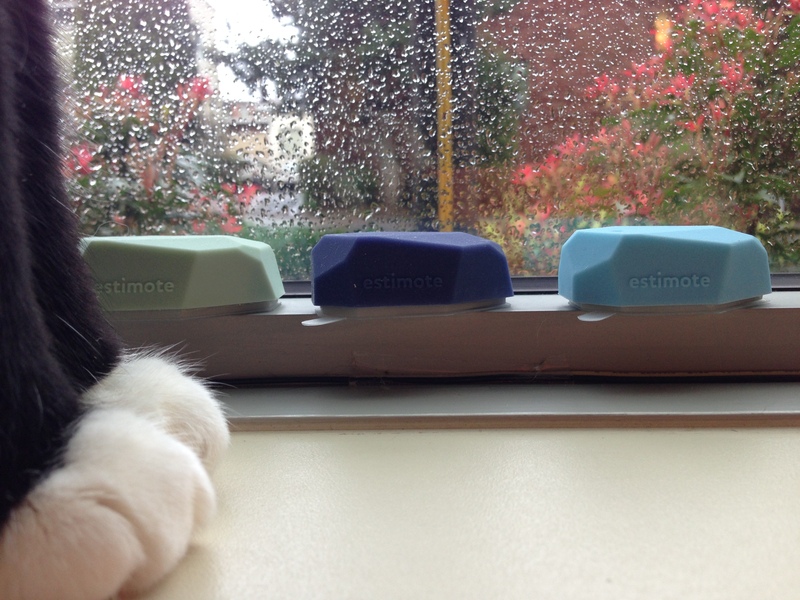 I haven’t found any mention of their range in comparison with my Estimote beacons, which last 2 years and can throw a signal 50m+. Without knowing more details I would imaging that these blue series 10 Gimbal beacons won’t throw a signal that far while the series 20 probably will. 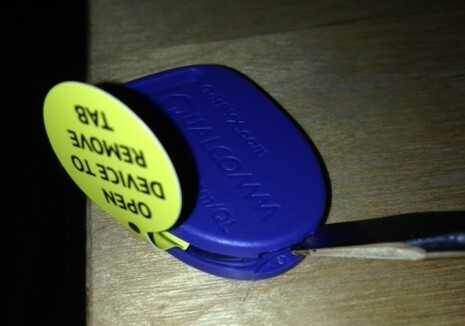 Once you get your beacons (they have/had a promotion to get them free), you will have to pry them open and then activate them by entering in the factory ID printed on the inside into the developer portal. Having done that, you should be free to experiment with detecting beacons on an Android or iOS handset using their provided SDKs. Will update with more as I proceed. This article will be my first foray into the topic of “internet of things,” an area I plan on exploring in great detail over the next few years. The idea underlying the “internet of things” was proposed by Kevin Ashton in 1999 and has simmered quietly, waiting for the correct market conditions to emerge. With the arrival of Bluetooth LE on the mass market (driven by the proliferation of BLE capable mobile phones) the time is “now.” As a result: Apple, Google, Intel and Qualcomm and many others are jumping into this space with both feet. Why should you care? Because Bluetooth LE will create thousands of new startups and offer tremendous business opportunities for technical and non-technical folks alike.